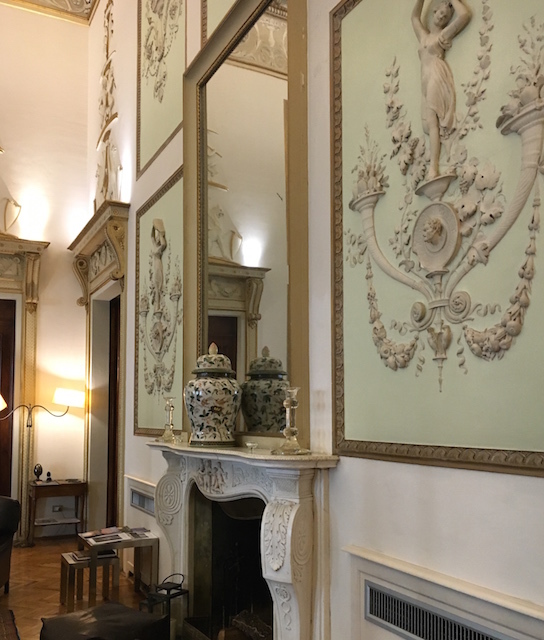 There is just so much to see and experience in Florence and, as is often the case, it’s easy to miss architectural gems. Spectacular edifices that were once elegant palazzi are government/financial institutions, museums, apartments, hotels, and the like. Although the exteriors may be somewhat unassuming, upon entering there is much more than meets the eye. 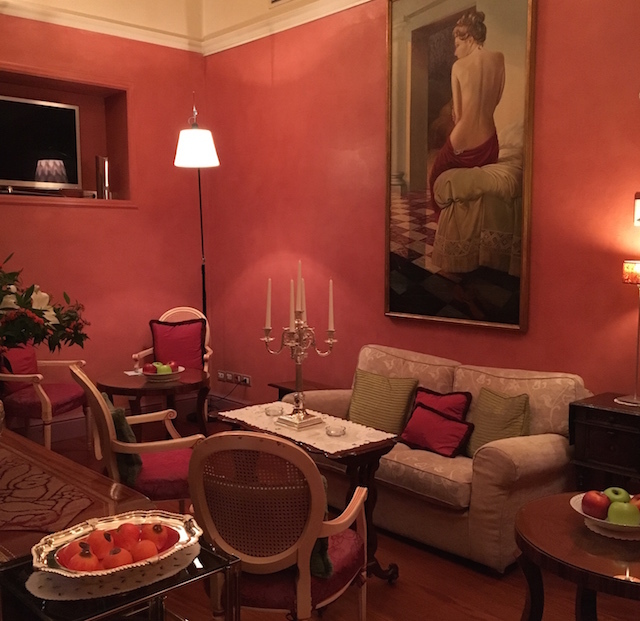 Luxury Italian-style has a completely difference ambiance than what may be considered luxury elsewhere. It is an understated and tasteful elegance that is often unexpectedly welcoming and comfortable. 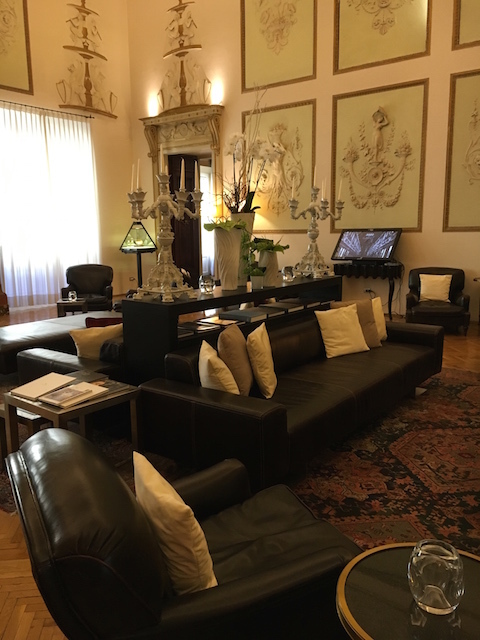 Located on Via Ghibellina, in the residential neighborhood of Santa Croce, what is now Relais Santa Croce was once a private residence in the mid 18th century of Marchese Baldinucci, a Florentine aristocrat and powerful treasurer of the Pope. 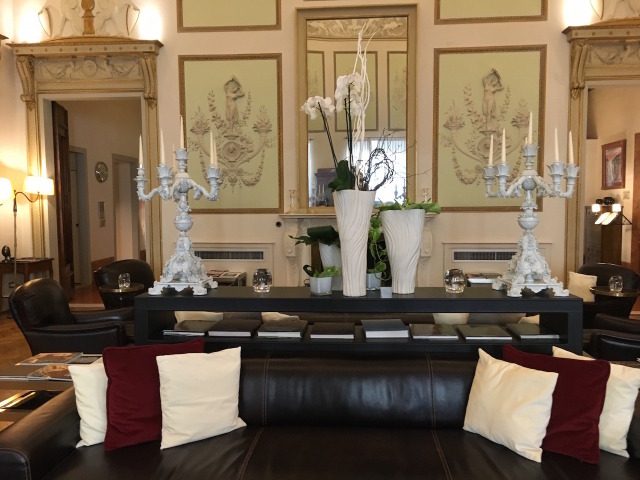 Over the centuries, the palazzo has known many prestigious owners and guests. 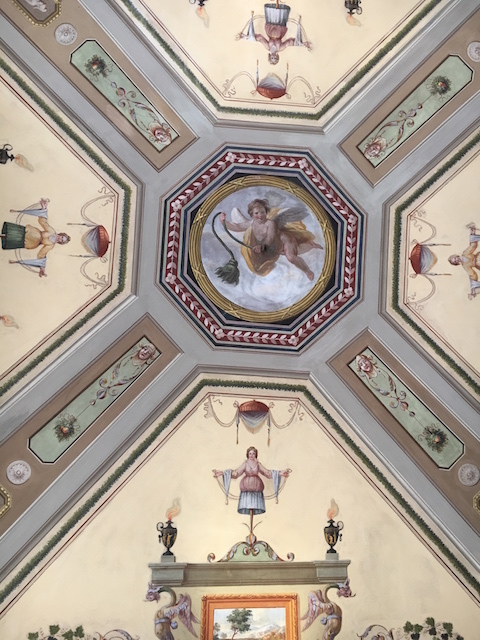 Today, known as Palazzo Jacometti Ciofi, it has been faithfully restored to retain the original elegant architectural features including the lovely frescoes dating from the 16th century. Extraordinary care and attention were given to restore the period furniture, fabrics, and aesthetics. These efforts “to preserve the typical atmosphere of the original private residence…” are apparent and praiseworthy. 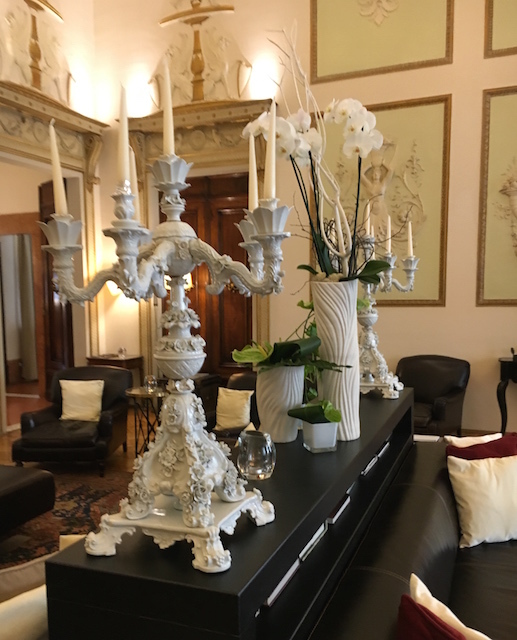 Indeed, from the time you enter and ascend the stone and Venetian terrazzo main staircase, you immediately feel that you have been personally invited into a beautiful and tastefully appointed palace. 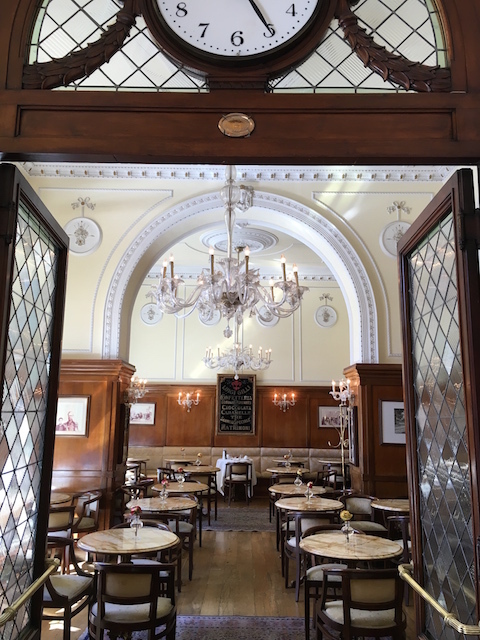 Despite the refined atmosphere, rather than feeling intimidating or uncomfortably formal, it is a delightful portal to the grace and sophistication of the past. Literati, scientists, artists, celebrities…and me! 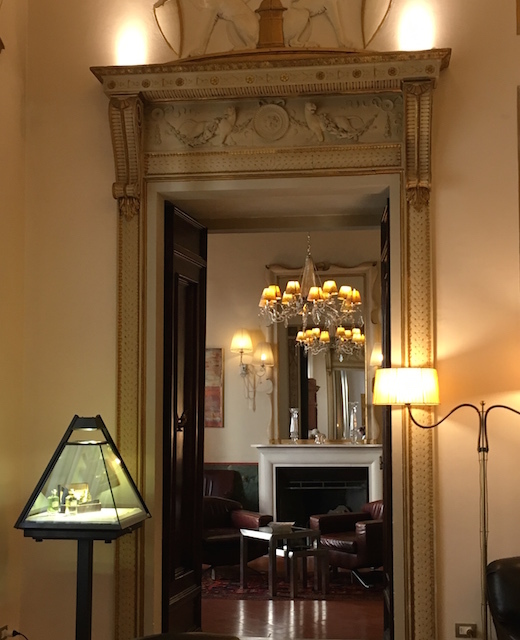 Angelina and Brad, Placido Domingo, Kate Moss, Charles Aznavour, I Volo…to name a few, are some of the luminaries that have stayed at Relais Santa Croce. 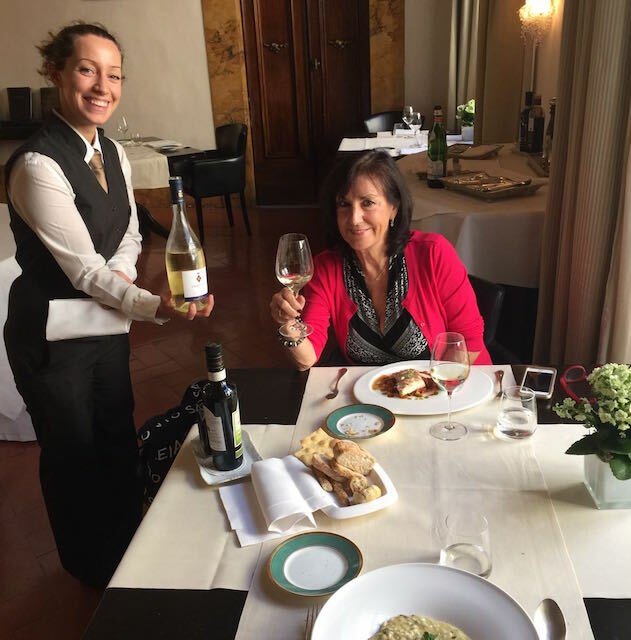 And today I, along with my lovely friend, Michela Ricciarelli, have the pleasure of being guests for a private tour and lunch! 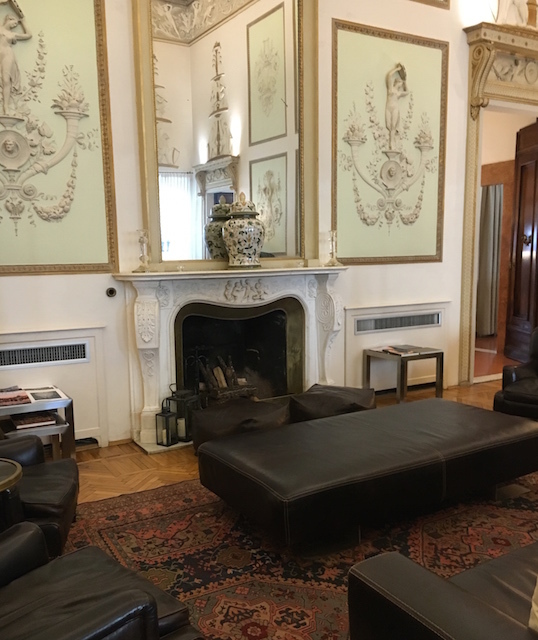 While we waited in the elegant Sala della Musica, we were welcomed with a lovely glass of Prosecco, one of many genteel touches we would enjoy. Greeted graciously by Flora, our private host for our visit, we were escorted through the drawing and meeting rooms, and parlors. 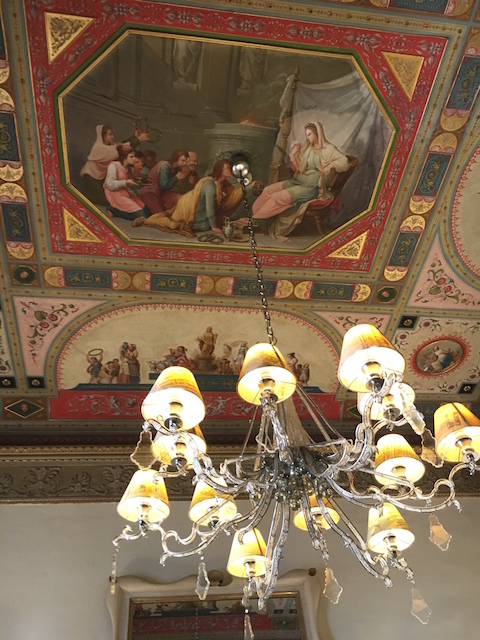 We were enthralled as Flora pointed out the exquisite details – including the frescoes, inlays, magnificent chandelier, and the secret panels of the Sala della Musica (music room). 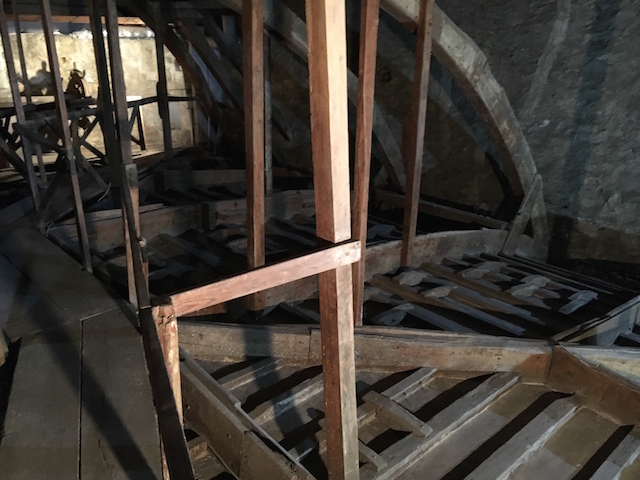 We would have never guessed that these panels revolved to reveal a hidden spaces where musicians, discreetly hidden behind the walls, would play and fill the room with “live” music. The panels could also be opened to see them playing. 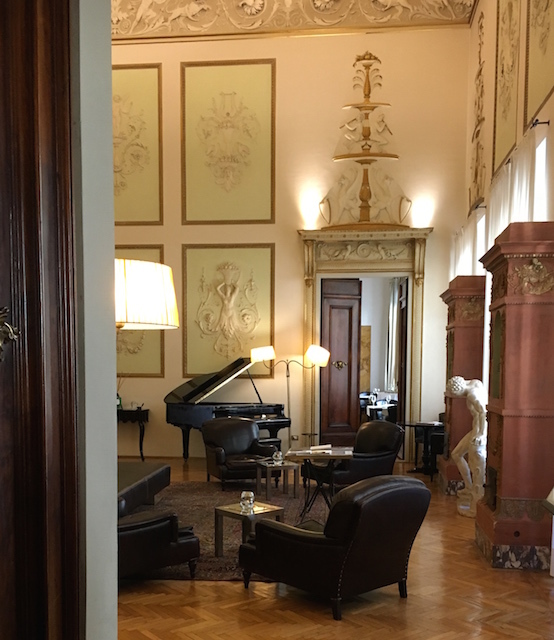 Today, with its perfect acoustics, the room is used for private concerts. 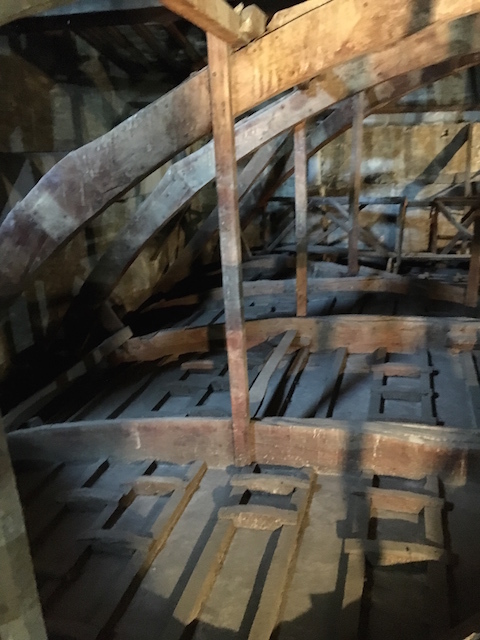 A behind the scenes peek at the truss (or trestle) and walkways constructed in the 16th century was fascinating. Still intact, they allowed the chandelier to be lowered and raised in order to allow servants to light candles. We were fascinated by the mechanical ingenuity. Flora’s pride in sharing the property, its history and the interesting details was apparent. 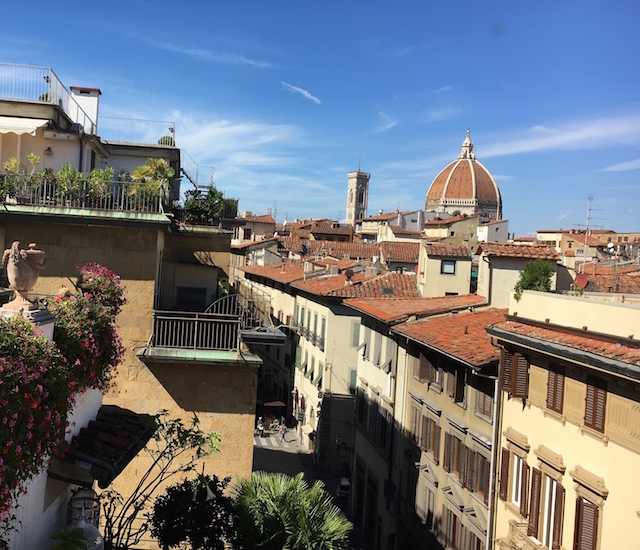 We were also fortunate to be able to take a peek at several of the 24 beautifully appointed suites and rooms, many with breathtaking views of the rooftops of Florence. There is an aura of privacy and intimacy and every accommodation has been appointed with luxurious amenities and tasteful touches. 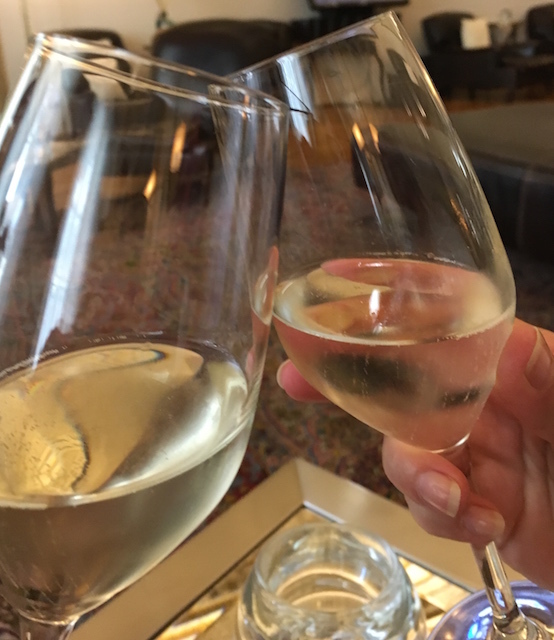 That was only the prelude to our 5-star afternoon! 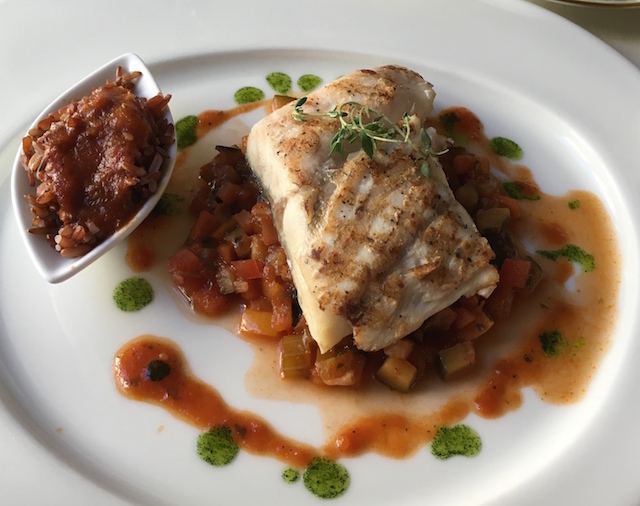 Ushered into the Guelfi & Ghibellini Restaurant dining room, we were then treated to a sumptuous repast… of classic Tuscan cuisine, of course!. Neither one of us could resist dolce! And why would we? My Tiramisù al cioccolato bianco in salsa caramello e agrumi (Tiramisù in a dome of white chocolate and caramelized orange sauce) and Michela’s Semifreddo ai cantuccini di Prato con sala all’arancio, zenzero e Vin santo? (Cantucci parfait with orange, ginger and Vin santo sauce) were both absolutely meraviglioso! 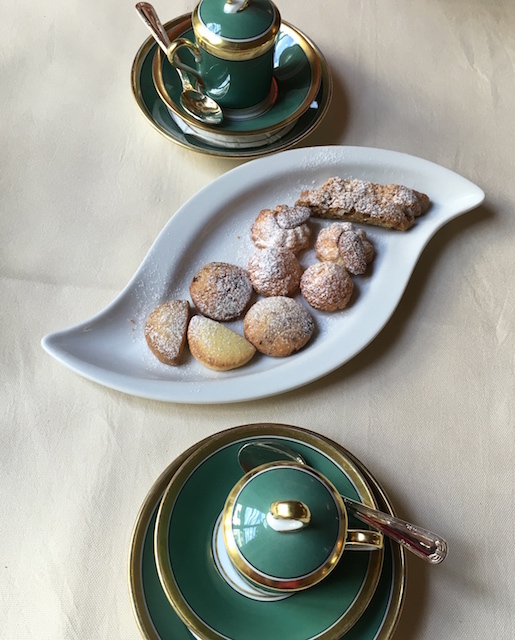 Elegant, delightful, delicious and impeccable service… Is that la dolce vita? Si! I would say 5-star divine! 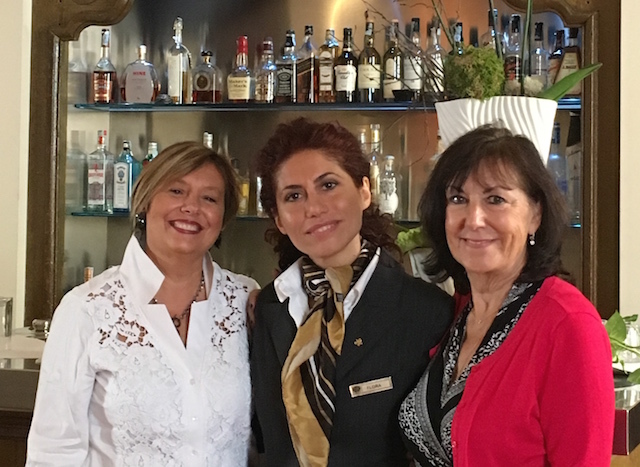 Grazie, Relais Santa Croce, our lovely hostess Flora, Marco Del Lama (hotel manager), Baglioni Hotels, and Italian Talks for this unforgettable and extraordinary afternoon! 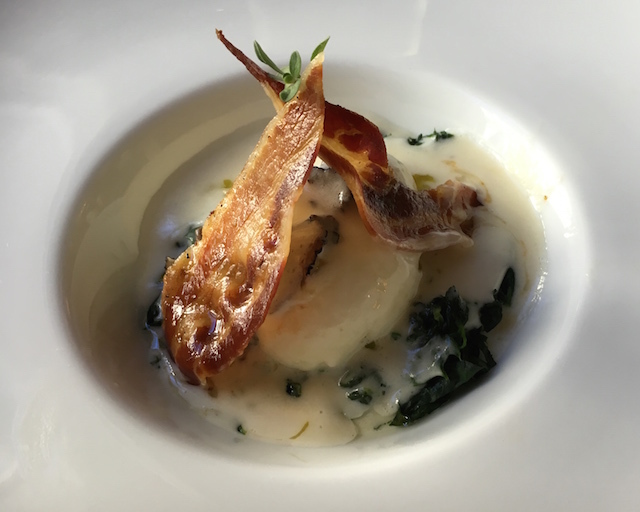 La dolce vita sums up Victoria’s passion and love for all things Italian. 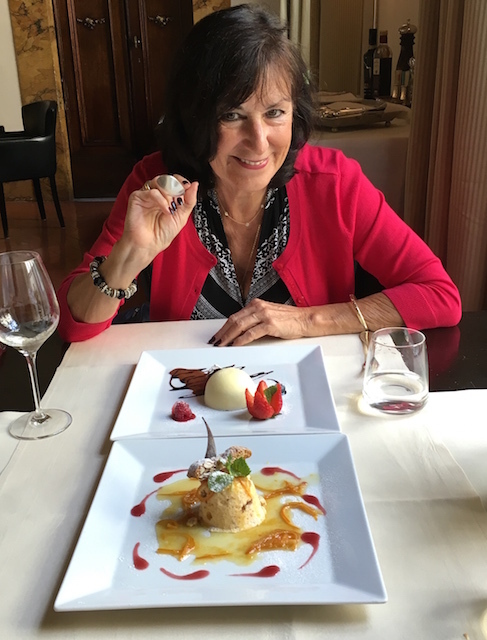 An American living in California, her heart is always in Italy. As a travel consultant, blogger, and writer, Victoria loves sharing practical no-nonsense travel tips and insights on her travel blog, PostcardZfromVictoria.com and invites you to join her there as well as on Facebook, Twitter, Italian Notebook, and L’Italo-Americano. She now offers unique boutique and personalized experiences in Italy with Victoria! Victoria’s Travel TipZ Italian Style, her book (about Italy, of course!) is now available on Amazon. 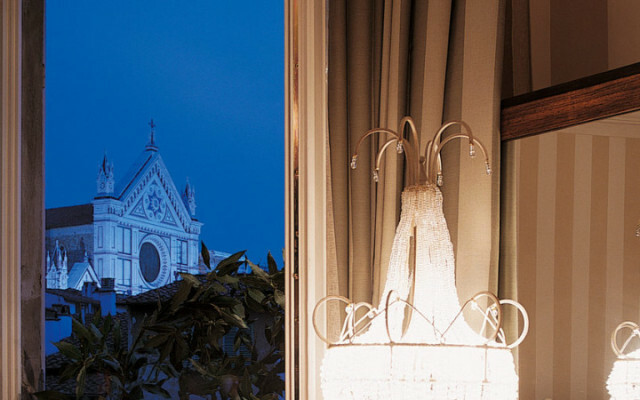 Concierge tip: Florence is the hub of the Italian Renaissance. 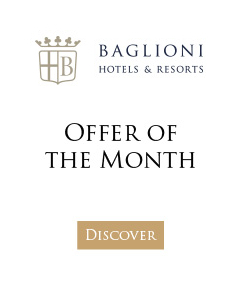 Enjoy the city’s most inspiring attractions with the Baglioni Hotels’ Cultural Itinerary package, which includes the Firenze Card that gives you admission to more than 33 museums including the Uffizi Gallery and the Accademia.